Last month on the 25th, when BTS arrived in Korea after their Japan concert, Jimin and Jungkook are seen to have spent time together. 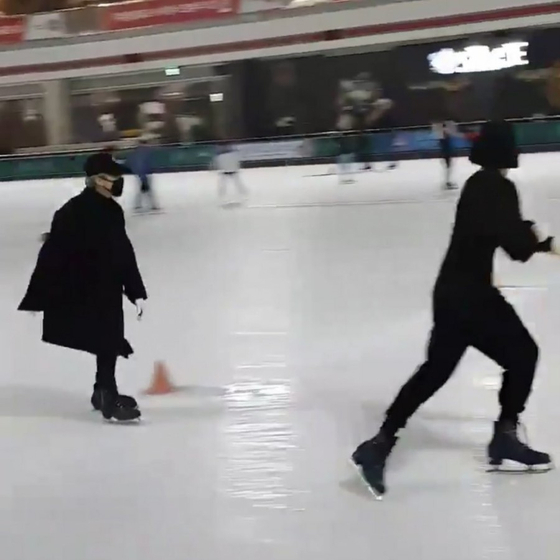 These two BTS members are known to have visited the Lotte World ice rink and spent quality time just the two of them. 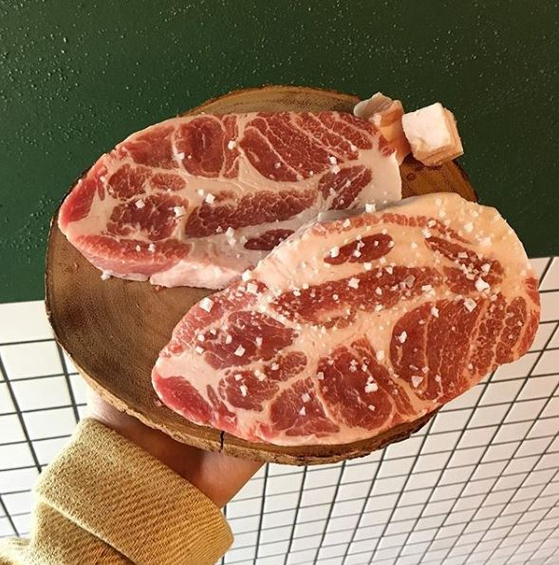 Today, VoomVoom has brought to you the very restaurant, Gold Pig Diner, that the Kookmin (Jungkook+Jimin) pair enjoyed. 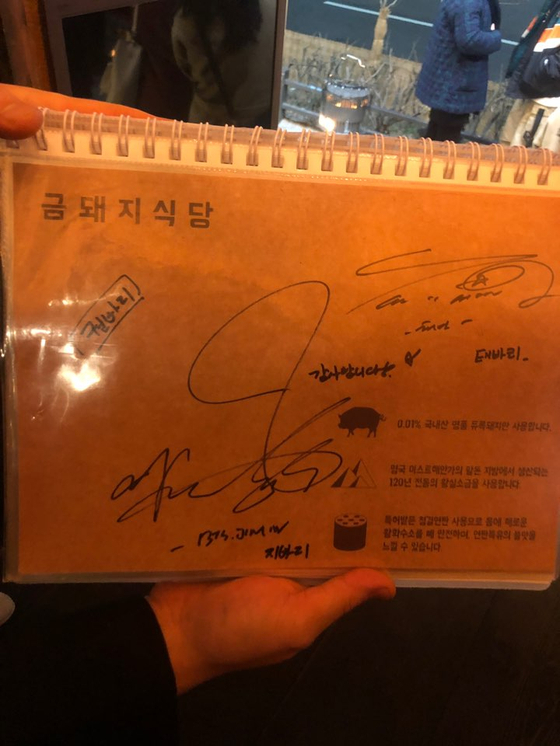 Actually, both Jungkook and Jimin have visited this Gold PIg Diner before. 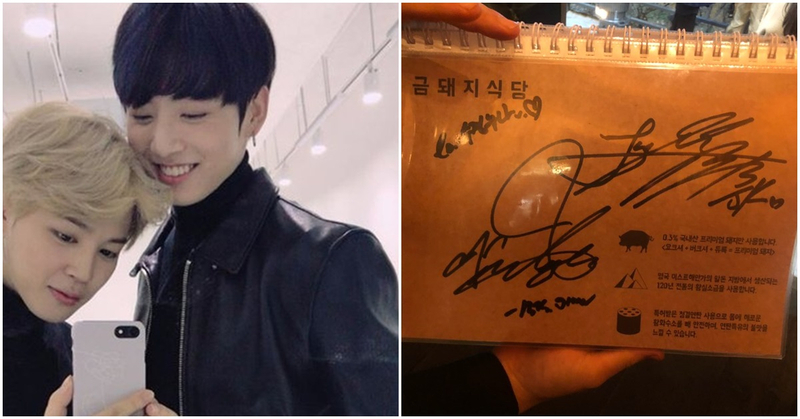 Jungkook with BigHit Entertainment producer, Bang Sihyuk, and Jimin with SHINEE member Taemin have left traces of their prior visit. 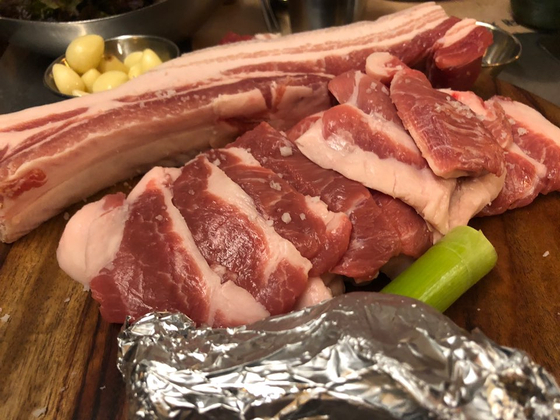 According to rumors on Twitter, at that time Jungkook had promised he would come again with Jimin and surely enough, they "kept" their promise as not long afterwards the Kookmin pair visited the Gold Pig Diner again! 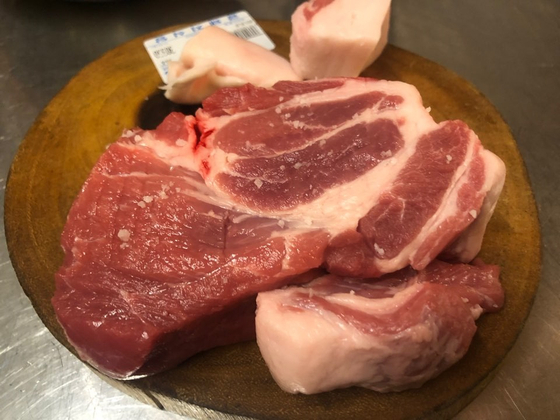 Last week on the 14th VoomVoom personally visited the Gold Pig Diner and was able to learn about the Kookmin pair who had come only a few weeks ago. 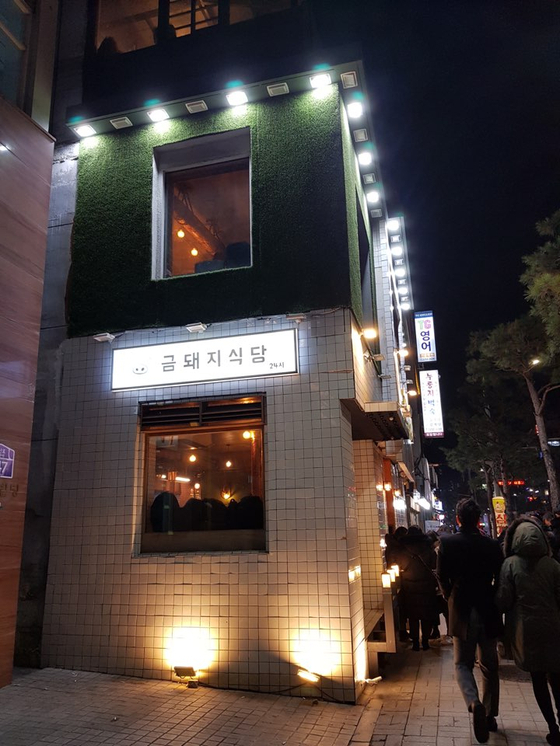 Q: When did Jungkook and Jimin dine at this restaurant? A: It was about one month ago. They came at about 5 o'clock! Q: What did the two of them order? 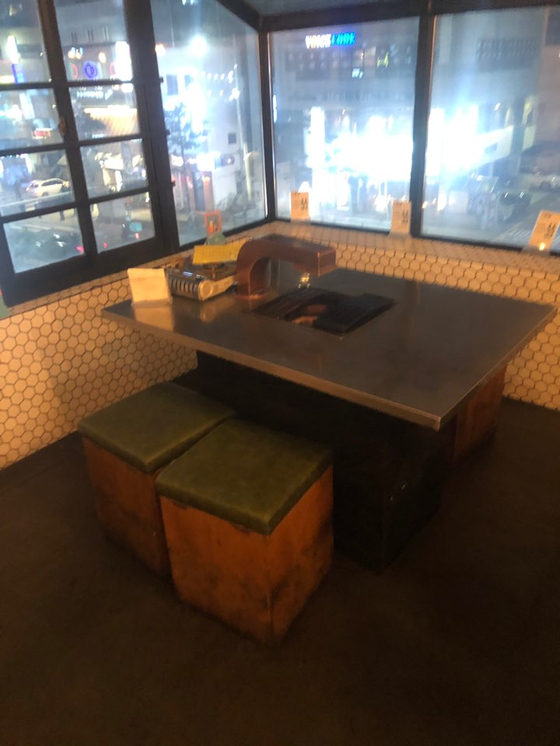 Q: Where did they sit? A: They sat at Table No.1, corner seat on the third floor. 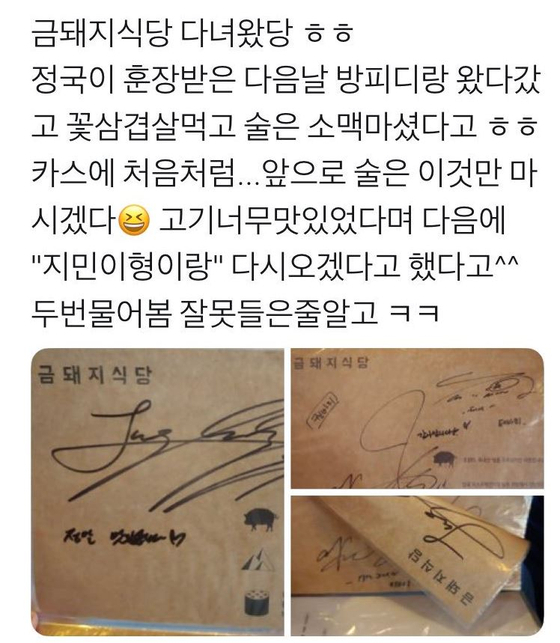 My employees also commented on how friendly Jungkook and Jimin were to them. 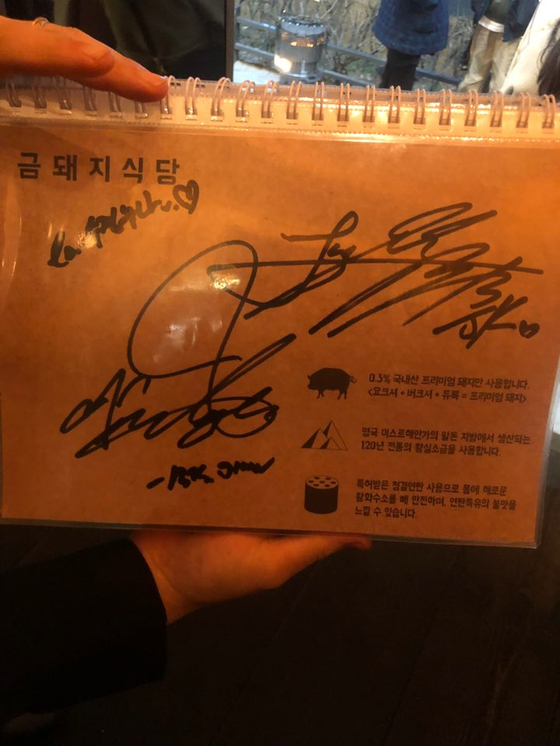 They said that if you visit the Gold Pig Diner and say that you want to see "Jungkook and Jimin's sign," then the employees on the first floor will kindly show it to you along with an explanation! As the VoomVoom team was leaving the restaurant the employee gave us one last detail. 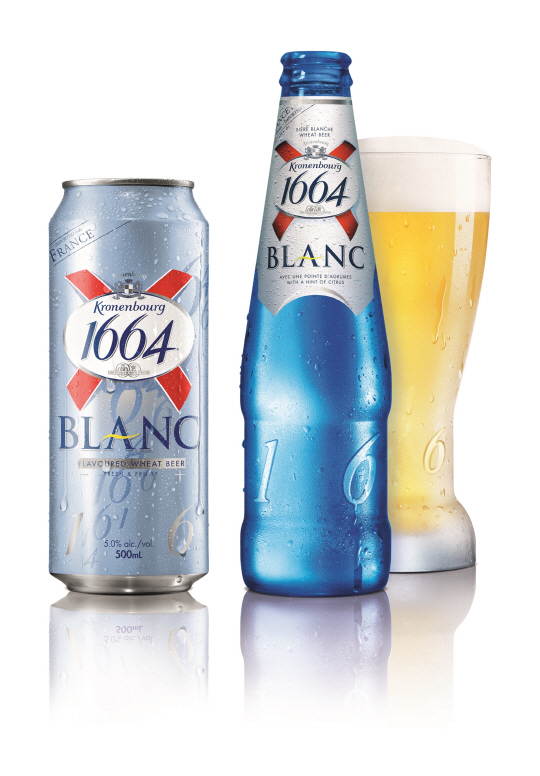 "The pair really liked Blanc beer!" 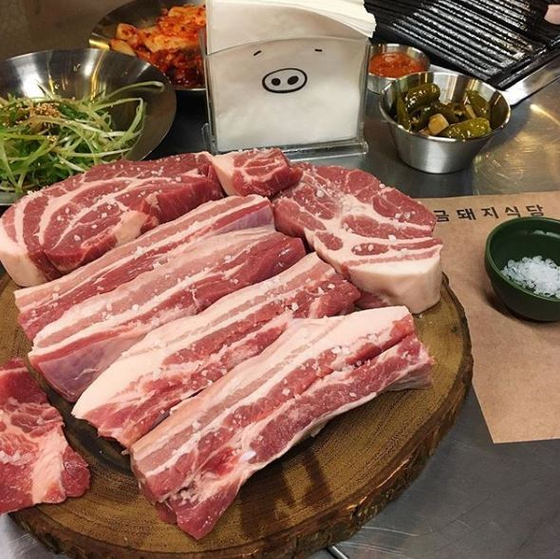 If you ever have the opportunity to visit Seoul, then we recommend you follow BTS's traces and visit the Gold Pig Diner. 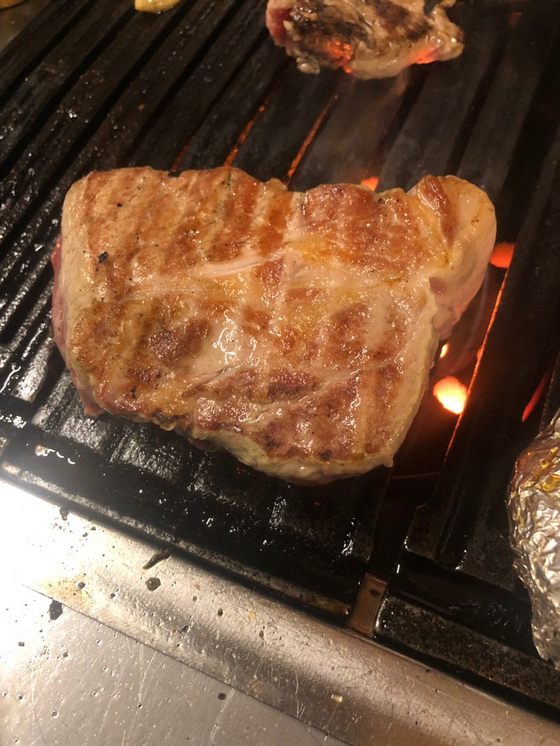 Since it's a restaurant they enjoy, you never know if you might meet them here! However, because the Gold Pig Diner doesn't do reservations just remember that waiting in line is a must. 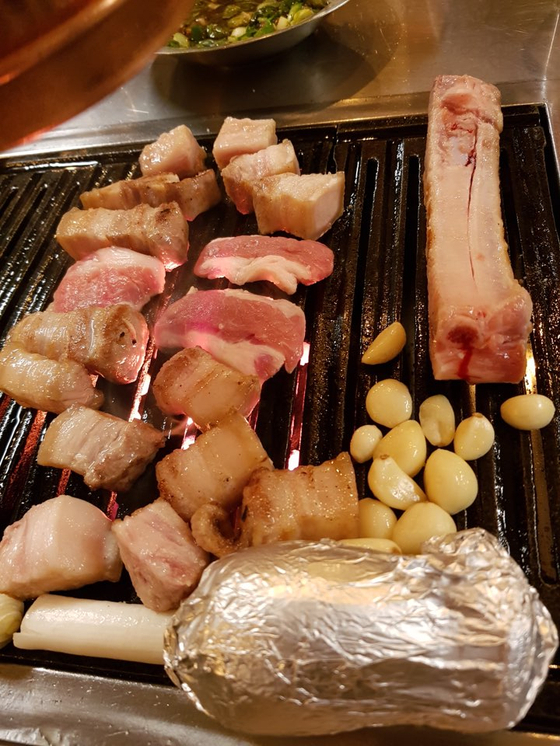 ※The Gold Pig Diner is also a restaurant featured on 'Michelin Guide's list of 61 'Big Gourmand' restaurants in Seoul on the 2019 version. 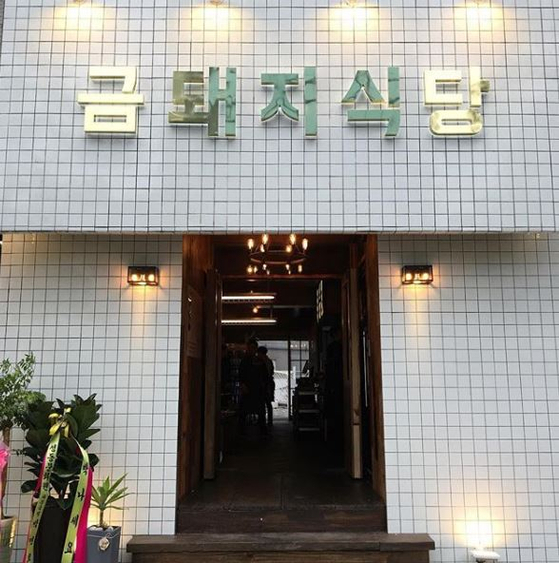 'Big Gourmand' indicates a fantastic restaurant where the price is less than 30 U.S. dollars per person.